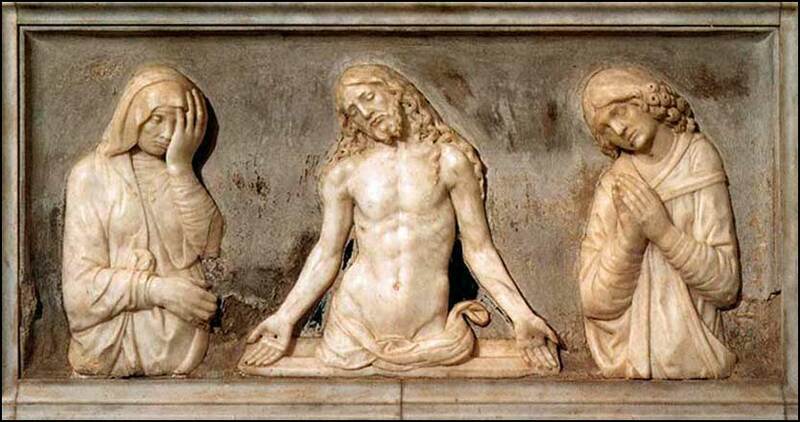 Pieta, carved marble altar by Andrea della Robbia, ca. 1495. O Heavenly Father, who for our redemption gave your only-begotten Son to the death of the cross, and by his glorious resurrection delivered us from the power of our enemy: Grant me so to die daily to sin, that I may evermore live with him in the joy of his resurrection. Stir up in your Church that Spirit of adoption which is given to us in Baptism, that we, being renewed both in body and mind, may worship you in sincerity and truth; through Jesus Christ your Son our Lord, who lives and reigns with you and the Holy Spirit, one God, now and for ever. 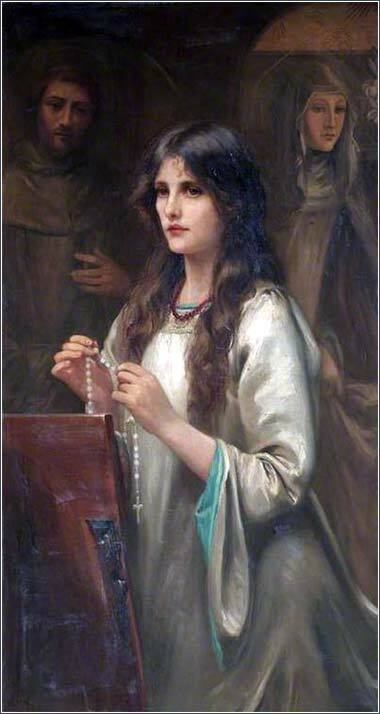 The Rosary by Beatrice Offor, ca. 1910. Ms. Offor shows a distinct Pre-Raphaelite influence. All of us, poor & rich alike, have been conditioned by our upbringings. Impoverished men & women may become lulled into a state of "learned helplessness" without hope to change their lives. Likewise, the wealthy can walk in a state of "learned blindness" ignoring the desperation of the local & global poor. And when you fast, do not look gloomy like the hypocrites, for they disfigure their faces that their fasting may be seen by others. Truly, I say to you, they have received their reward. But when you fast, anoint your head and wash your face, that your fasting may not be seen by others but by your Father who is in secret. And your Father who sees in secret will reward you. True fasting is not common in most Christians' practice. We might give up alcohol or sweets for Lent. (Of course, we might need to drink a little less or lose a few pounds anyway, but that's okay — nothing says fasting can't improve our health.) So, we skim this passage, because it does not sound like it applies to us. But it does, because it provides a perfect opportunity to examine how we practice our faith. he Jews of the 1st century A.D. and, by extension, early Christians, held fasting to be a critical part of their worship. There are many good reasons to fast: when done in connection with forgiveness of sin, it demonstrates true penitence; when done in recognition of sorrow, it demonstrates the depth of our sorrow and brings the event more into our heart; it drives home how many things we consider necessities of life are simply impedimentaImpedimenta: Objects or circumstances that impede progress. Originally, heavy baggage that slowed down a journey., and that we consider them necessary only because we have become so accustomed to them by habitual use. It makes our faith alive to us. Consider the fasting requirements of Islam. For thirty days, during Ramadan, Muslims fast from first dawn — when it is light enough to distinguish a white thread from a black one — until sunset. They eat and drink nothing. They do not bathe, smoke, smell perfume, or otherwise indulge themselves in physical pleasure. If there is a good reason why they must eat or drink (such as illness), they are expected to make it up later. But whether or not societal pressure to follow a religious observance is a bad idea, the fact remains: for such pressure to exist, a majority of the population must want to follow it. Even if we don't approve of their methods, the degree of discipline in worship by Muslims is rather alarming, when we think of Sunday church attendance in the West. 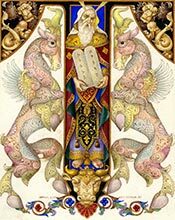 And just so, let us each ask ourself: “If I sincerely believe in Christ, why do I not even seriously consider fasting?” Jesus did it; and in today's Scripture, He says when you fast, not if you fast.